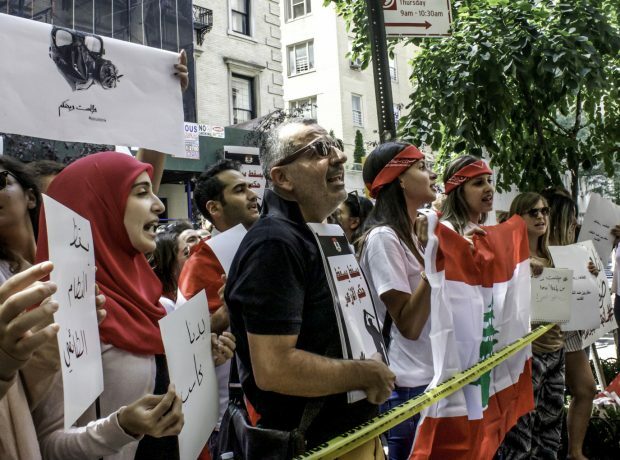 Photo-journalism student, Stefania D’Ignoti explains why she was inspired to photograph Lebanese expats in New York, protesting against the garbage crisis in Lebanon. 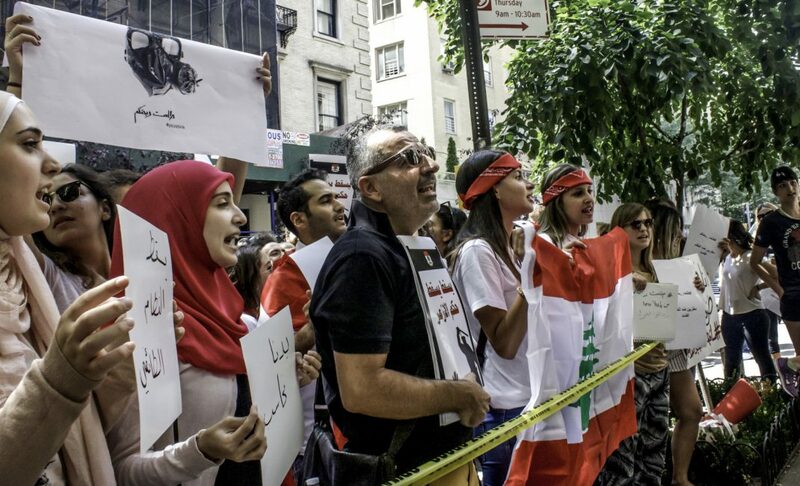 On August 29th, 2015, approximately one hundred and fifty Lebanese expats gathered outside the General Consulate of Lebanon in New York, right beside Central Park, the beating heart of the city. They were inspired by the people’s movement which began in Lebanon itself on August 22, 2015. 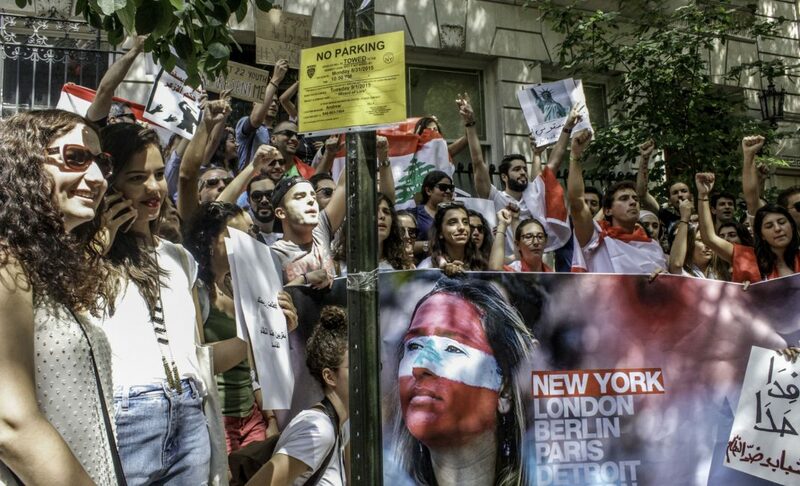 Their protest was meant to show solidarity and support for the movement in Lebanon, as well as asking for the dismissal of Lebanon’s Minister of Environment, Mohammad Machnouk and the cleaning up of Lebanon’s “ trash government”. 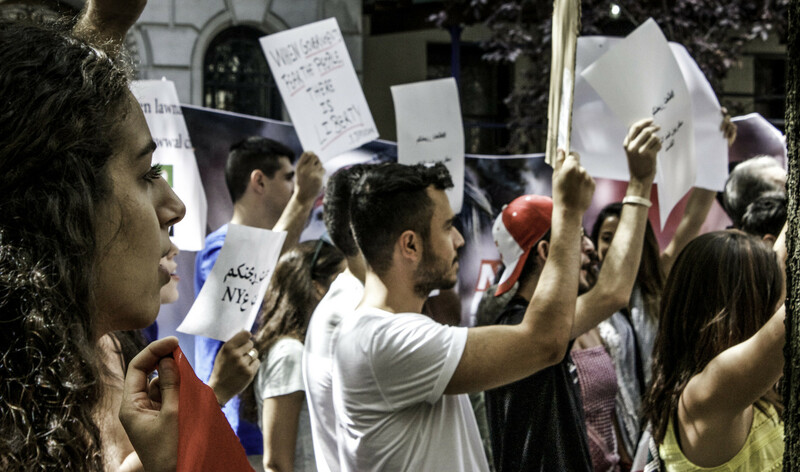 Lebanese citizens from all social classes, faiths and political beliefs protested together to ask for the end of the ongoing trash crisis, which began in the early summer of 2015. Lebanon’s dysfunctional government shut Beirut’s main garbage landfill site, without sorting out an alternative system. 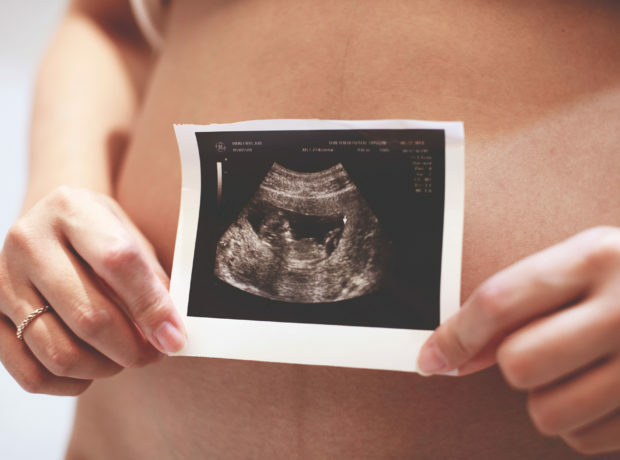 Since then, rubbish has piled up in the city streets, causing what researchers and campaigners say is a public health emergency. The trash crisis is only one of the many problems directly arising from the country’s stagnating political system. I covered the protest for an assignment at Columbia Journalism School. 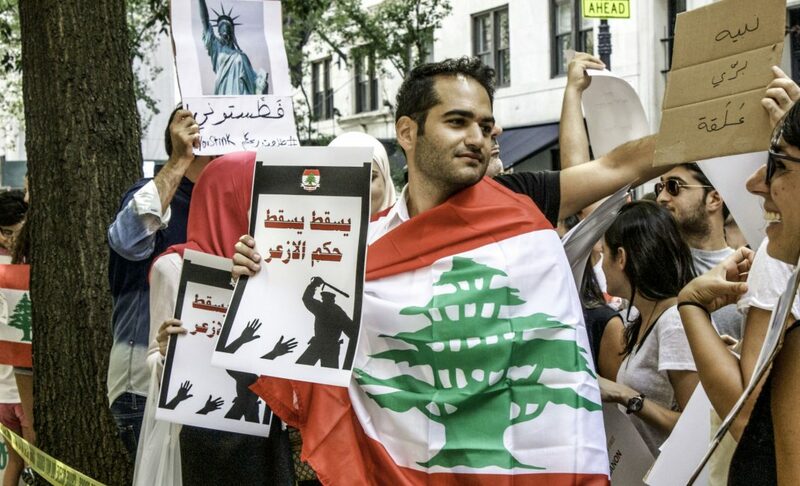 Having lived in Beirut for a year, I was in contact with the Lebanese expats in New York, and was following the political turmoil in Lebanon from the US. So when it came to a topic for my assignment, I had no doubt about my choice. 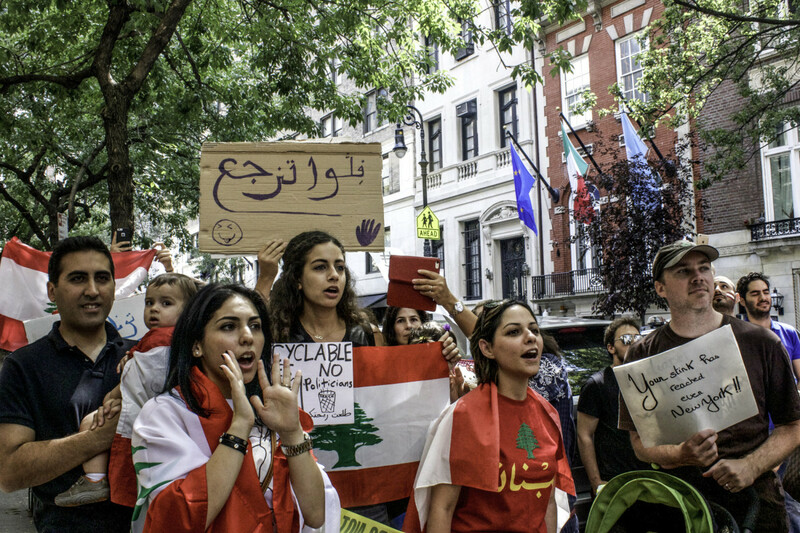 In the pictures I took, I was hoping to capture the anger and dissatisfaction of Lebanese citizens who, even if abroad, still follow the politics of their home country. They are constantly fighting for a better future for their families still back home despite their physical absence from Lebanon. But at the same time, my pictures also show the feeling of unity and joy which the people on the protest felt to be taking this kind of action together. 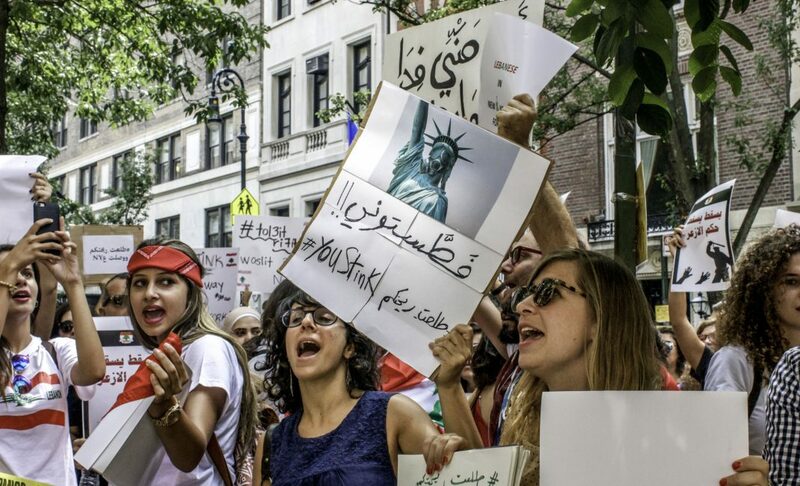 The New York protest was a non-denominational, strictly non-partisan event, for all Lebanese people, American citizens of Lebanese descent and their supporters. 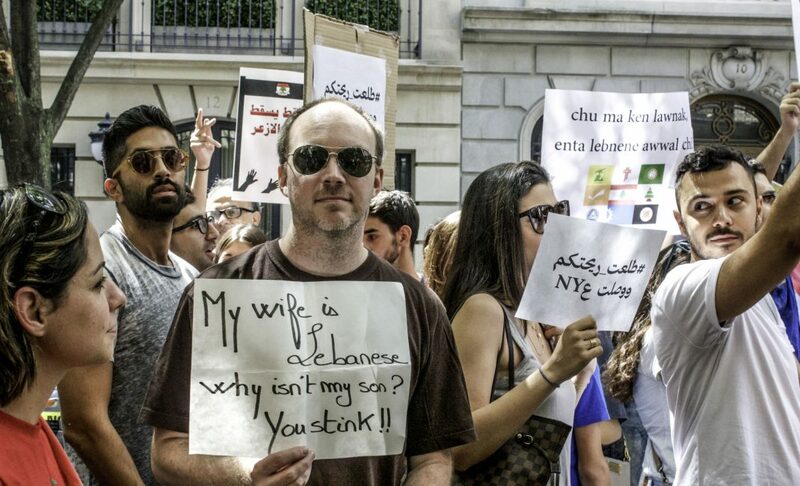 The protest was very peaceful; it was organized by the online civil society group “You Stink!” Their name refers to both Lebanese politicians and the smell produced by the garbage. People gathered at 12pm on East 76th Street. 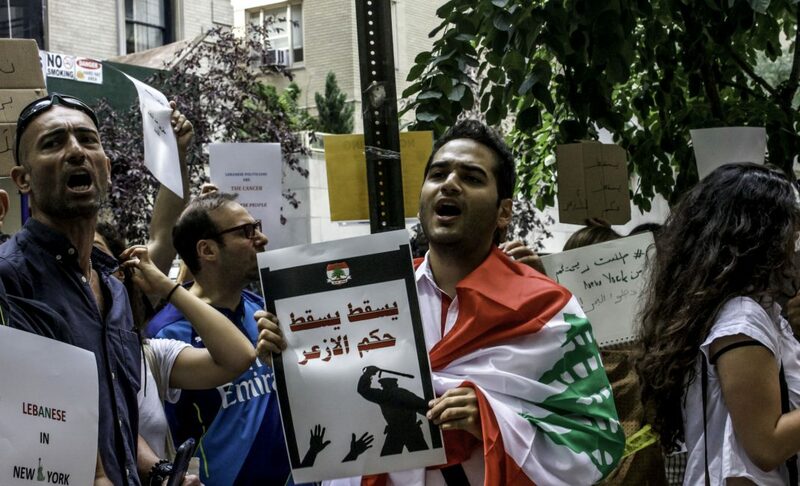 The protests that followed involved chanting the national anthem, and some shouting and even screaming of political slogans and songs borrowed from the Egyptian revolutions, but with words re-adapted for the Lebanese cause. For instance, people were shouting “Ashab yurid isqat an-nizam” (“The people want to overthrow the regime”). 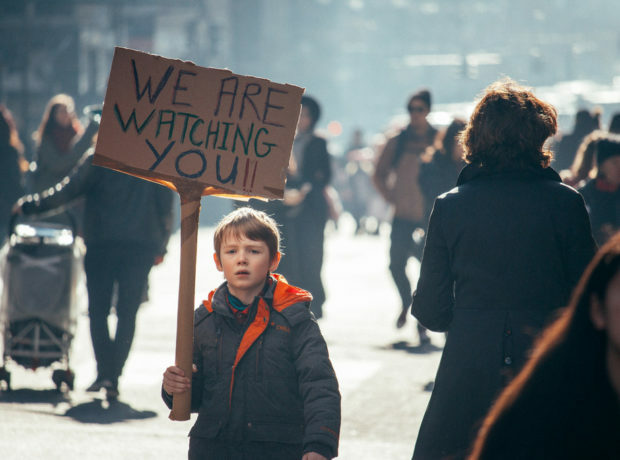 In February 2016, the #YouStink movement made it back into the news headlines, as a river of stinking garbage bags sneaked through the suburbs of Beirut, stretching for hundreds of metres, as a reminder of the months-long garbage crisis, the associated health and environmental disaster and the country’s politics of corruption. Public outrage over health risks gave rise to a parody video highlighting the difference between a recent tourism ministry video and reality: from sparkling blue rivers to rivers of rubbish. The health impact of the trash crisis is now so bad that earlier this month there were reports of one family fleeing into war-torn Syria to avoid it. Soon, the movement will celebrate its one-year anniversary. “Beirut Madinati” (Arabic for “Beirut, My City,”) is a political party that emerged from the protest movement and stood in Beirut’s local elections last month. They didn’t win any seats (difficult in a first past the post system), but did take 40% of the vote. Now, the Lebanese government plans to open 3 rubbish dumps along the Mediterranean coast to deal with the crisis – not a sustainable solution say the activists. 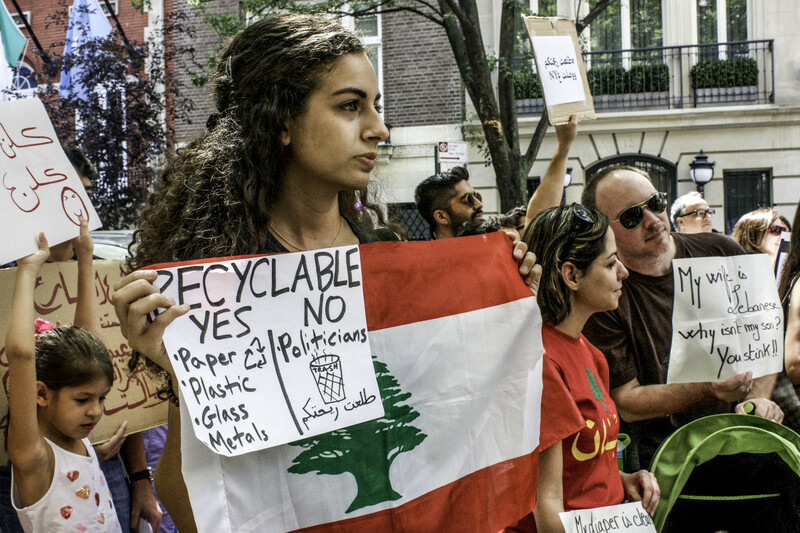 The environmental and political issues associated with the rubbish crisis seem far from being solved, especially when Lebanon still has no president. I hope to be able to keep photographing events in relation to this political crisis. 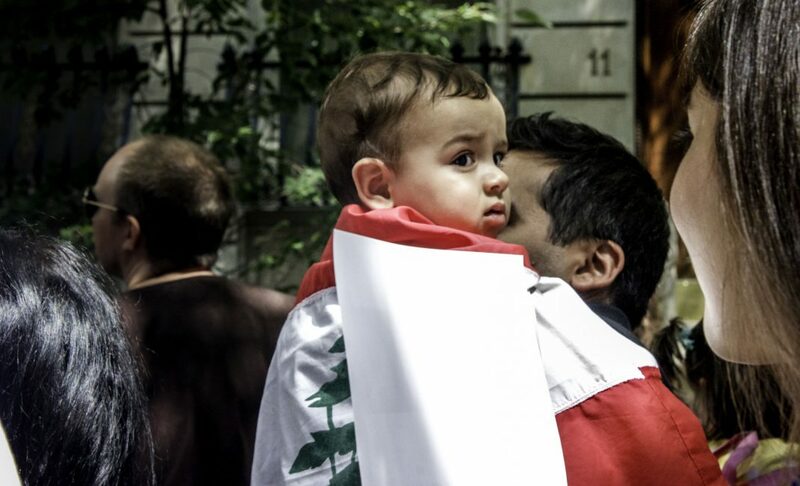 Since the one-year anniversary of the original protest in Beirut is soon, I might head back to Lebanon to produce more features; if new environmental findings and problems arise connected to pollution and political corruption, I will be there to capture them. All photos by Stefania D’Ignoti.